2019 is yet another big year for influencer marketing. As influencer marketing continues to grow in awareness and popularity, both supply and demand for influencer marketing platforms is continually increasing. In fact, according to Google Search Trends, searches for ‘influencer marketing platform’ have quadrupled over the last 3 years, and this is even higher for ‘influencer marketing’. With so many influencer marketing platforms on the market, where do you begin looking for a platform that best serves your brand’s needs? Especially with influencer marketing being such a controversial topic in the market with issues around influencer fraud and lack of ad disclosure, it’s important to do your homework before committing to a platform. While there are certainly market leaders and challenger platforms on the market, it ultimately comes down to your platform requirements and use cases. A platform that is great for sourcing and engaging B2C influencers may not be appropriate for sourcing and engaging B2B influencers. We’ve compiled a list of 10 questions that you should bear in mind and do your due diligence on to ensure that you’re signing up to the best platform for your brand and its business objectives. This will help you become a mature buyer in an immature marketplace. 1. Can you identify credible & engageable influencers? If you’re looking to identify influencers that focus more on the verb (i.e. the ‘influencing’), rather than the noun (i.e. calling themselves an ‘influencer’), you should make this question a priority. With such controversy surrounding the influencer marketing industry on topics such as fake influence, it is important to work with an influencer marketing platform that truly understands what ‘influence’ actually means and effectively factors this into their methodology. While reach (audience size + subscribers) and engagement metrics are important, a more exhaustive methodology that considers other metrics indicative of ‘influence’ is imperative. Factoring in how relevant an influencer’s content is to a specific topic, how much engagement they get on that specific topic, their authority from the influencer community and who their audience actually is will give you a better understanding of their influence. For example, while Kim Kardashian may have lots of followers and general engagement, she wouldn’t be a good fit for a brand whose core focus is around artificial intelligence, as her engagement around this topic, and her authority among other artificial intelligence influencers, would be very low. Yes, with Kim Kardashian you’ll get lots of eyeballs, but not necessarily the right eyeballs. Finding exact methodologies on influencer marketing platform websites can be challenging as platforms look to protect their competitive advantage, but they shouldn’t be shy to disclose their exact methodology to you if you ask. Influencer marketing platforms that also categorise influencers by their role, type, persona, location and brand affinity will also help you understand how likely you are to engage and activate them. 2. Do they cover the social media channels that influence your target audience? In order for you to get value from this question, you first need to ask yourself ‘what social media channels are our target audience on?’. Ensure that you opt for a platform that has data from those channels – for identifying influencers, listening to influencers and engaging with influencers on the platform. As the good old saying goes ‘fish in waters where there’s fish’. For example, while Instagram may be a more popular channel for consumer brands (e.g. fashion, makeup and fitness) LinkedIn, Blogs and Twitter can be more appropriate for targeting B2B decision makers. It is also important to manage your own expectations here when it comes to social media channels and their APIs. Vendors have limited access to Facebook, LinkedIn and Instagram data preventing brands from being able to track influencer posts, apart from @brand mentions. Back in April last year, Instagram caused a real wave in the industry by shutting off all access to various APIs. 3. How many influencers are influencing your marketplace? Social listening is a huge part of any fully optimised influencer marketing program that looks way beyond just engaging and partnering with select influencers. Tracking the wider influencer community (i.e. influencers outside of those you want to engage and work with), is important to get a true picture of who is influencing your marketplace. Social listening enables you to identify how many influencers are driving the influence in the industry. In some industries there could be a critical mass of just 10 people that influence the whole industry whereas in other categories / topical areas there can be a disparate influencer set that influence different clusters of audiences. Some influencers are very influential but not engageable so you want to understand how the flow of influence works and where you can make an impact. Identify what the whole influencer community looks like, map which influencers are closely connected together & who’s leading the conversations; analyse what content is being created and curated (both in terms of topics and content type) and then feed these insights into your strategy. 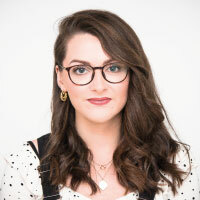 Now this strategy is not just which influencers to engage with and how to engage with them, but optimising your content strategy to only create content that is going to resonate with the influencer community and your target audience. 4. Are you looking for a partner or software vendor? 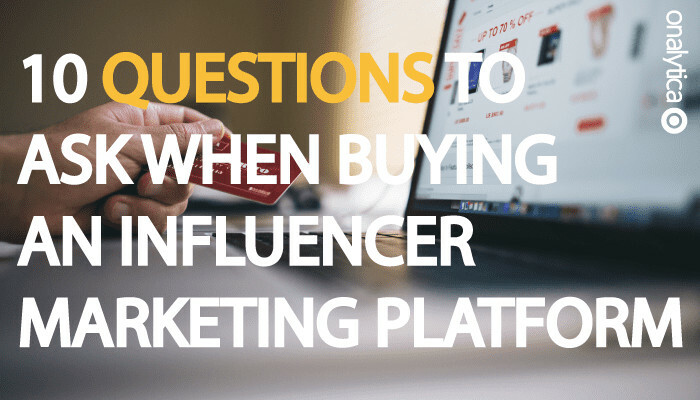 In order for you to answer this question you must decide how involved you would like the influencer marketing platform to be. To do this, assess how mature your influencer marketing program is currently (if at all); what skills and resources you have internally and identify gaps where an influencer marketing platform can help. Would you like a cookie-cutter software vendor that provides you with the log in details and then lets you get on with creating and executing your strategy alone, or a partner that is an extension of your team, invested in your success and will help you get started and get results? Also consider if they offer any professional services? If you’re looking for an influencer marketing platform that offers consultancy as part of their service, then they’re likely to have formulated best practice playbooks, as well as hub and bespoke models for large enterprises on how to operationalise / run an influencer strategy in a programmatic way. However, make sure you understand exactly how much consultancy and professional services are included as standard in their pricing, and what requires additional budget. 5. Are you confident that their experience & case studies are relevant? There are copious influencer marketing platforms out there, operating in different industries against different use cases. To understand what brands their experience best serves you want to understand the work they’ve done in sectors and industries relevant to yours and around use cases similar to what you want to achieve. E.g. if you’re a B2B tech brand, do they have examples of work they’ve carried out in your sector? If your objective is demand generation, can they provide a case study sharing expected results and how they helped achieve their goals? For multi-market organisations, what countries have they done work in? Different countries often require different strategic approaches and language requirements. Is their software compatible across multiple languages (for search, social listening and engagement) and do they have the right blend of professional services and consultancy experience in-house? On a more general level, how long have they been around? What is their reputation like in the industry? How sustainable is their business? Have they raised series A,B funding? 6. Is your influencer marketing program independent or part of a wider social advocacy play? Influencer marketing should not be a siloed program as it can help drive results across many internal programs such as Brand Advocacy, Employee Advocacy, PR, Product Marketing, Account Based Marketing and Social Selling. These programs are all part of a wider social advocacy play creating compelling content from your employees, influencers, advocates and customers. It’s ultimately all social media advocacy designed to raise awareness, perception and increase sales or change behaviours. An influencer marketing platform that helps you connect and integrate influencer marketing into your wider marketing & comms activity will help you drive better results and make this an established program, rather than an experimental program. Being able to track customers and employees as well as advocates and influencers can often give you a more complete picture of your marketplace, that will help you assess the impact of your programs beyond the influencer community. 7. Are you able to effectively measure the impact and ROI? In order to achieve meaningful results, look for an influencer marketing platform that isn’t just focused on vanity metrics such as content views, shares and social media followers. They should be able to help you create and achieve objectives that enable you to hit your overall business outcomes. Softer social media metrics are important to measure initial awareness and engagement but they are just part of the complete picture. So you need a rigorous approach to measurement to connect these output metrics to outcomes your exec management really care about! This is vital in order for you to secure internal buy-in and to effectively report on your influencer marketing success and how it’s actually impacting your business. If the influencer marketing platform doesn’t have this functionality in place direct within the tool, do they partner with other tools and/or have a process in place that enable you to measure results and ROI? 8. How much time & resource will you have to invest? There are a number of stages to influencer relationship management, and most influencer marketers are still experimenting and learning their trade. Some tools cover only a few stages, such as influencer discovery & list management or influencer insights & measurement, while others claim to have a plug and play model for all stages of discovery, insights, activation, relationship management and measurement. Influencer Discovery – identify topical influencers that are most relevant to the topics and issues that your brand cares about. Insights – map the whole community to understand what the community looks like; how many key influencers there are, how much of the conversation they’re driving and who they’re connected to. From here you can identify engagement targets and set up a program with the whole community for social listening and insights & reporting purposes. Activation – activate influencer relationships within the tool and through direct introductions from the influencer marketing platform’s team. Relationship Management – monitor the conversations amongst the whole influencer community to understand the key topics and themes. Understand what your influencers care about and interact and develop relationships at scale with your key influencer targets. In addition to this you can feed these insights into your content strategy and influencer engagement strategy. Measurement – measure the impact and results of your influencer activity against your objectives. Identify areas that need improving and areas that are going well so that you can effectively refine, scale and structure your influencer program to achieve maximum influence over the marketplace. 9. Can they help you activate the influencers? When you activate 5-10 key market influencers on a topical level, you can activate and influence the wider influencer community at the same time. The key ingredient to success here is understanding how you can effectively activate those relationships with the help of a platform. An influencer marketing platform that has developed relationships with key influencers already can offer some quick wins and turnarounds for your brand – whether this is introducing you to the influencer themselves, or offering guidance on how to approach and build a relationship with that influencer. It is also important to note here that with the help of an influencer marketing platform, you will be able to drive more organic relationships rather than paid relationships, at scale. If influencer introductions is something that you’re interested in, then they should be able to write this into their proposal for you. 10. Are they creating industry thought leadership? Influencer marketing is a growing industry with lots of unoriginal content. Throw in issues around ‘fake influence’ and influencer fraud, it’s a challenge to know where to start in finding useful, insightful and educational content. An indication of an influencer marketing platform that is contributing to the development and innovation within the industry is one that produces lots of original, ground-breaking thought leadership content that is educating the industry on best practice. Having great thought leadership content is a sign of their original thinking and extensive experience within the industry, showing that they’re ahead of the industry and their competition. Want to hear our answers to these questions? Get in touch here.